The y&i Blog: It's Contest Time! Win a Handbag & Necklace! It's Contest Time! Win a Handbag & Necklace! 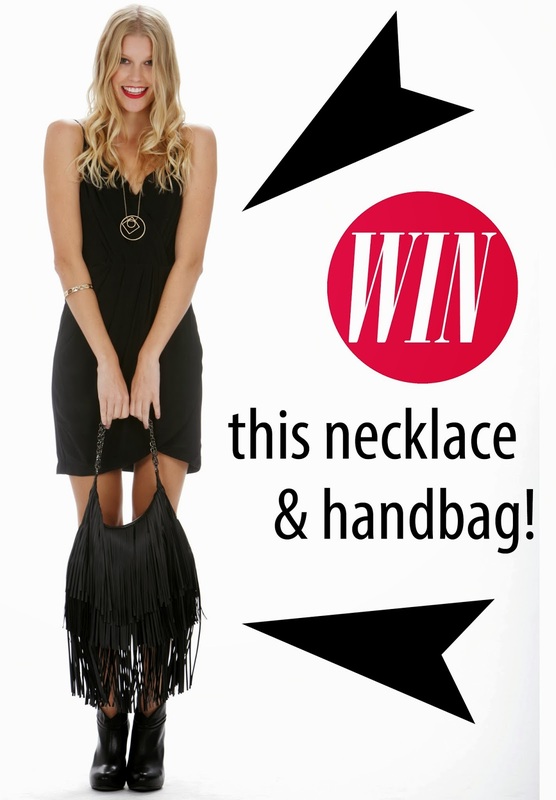 Want to win this adorable fringe handbag & statement necklace? Then click HERE to find our facebook post, LIKE the image & comment below the image "Pick Me!". That's it! best of luck to everyone! *Must be 18+ years of age and a resident of the United States. Contest will run from 10/8/2013 to 10/21/2013. Winner will be picked at random on 10/21/2013, 8:00 pm CST. We will announce and message the winner via facebook at that time.